Beautiful pink, rose-shaped miniature flowers. This sub-tropical evergreen imported from Japan blooms profusely with delicate pink flowers. Small evergreen foliage. 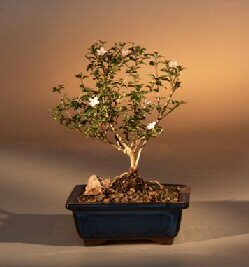 Excellent indoor flowering tree for beginner.